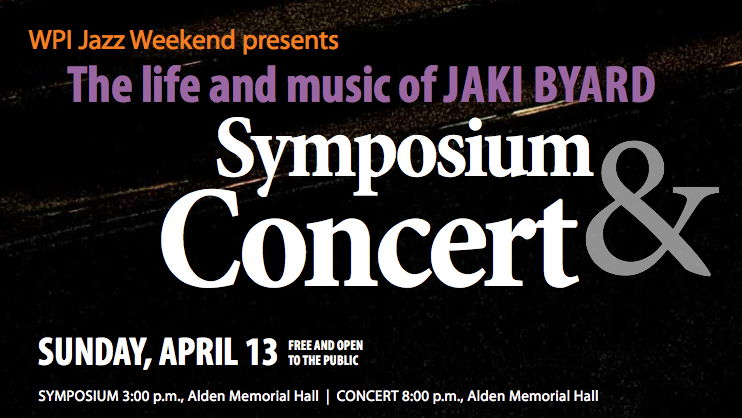 The Billy Strayhorn Symposium was the first of its kind, and was presented as part of the 1988 Jazz Worcester Festival. This collection includes unedited audio presentations by Anthony Coleman, Andrew Homzy, Brooks Kerr, Herb Pomeroy, Loren Schoenberg, and introductions by moderator Gary Carner. This video taped symposium was held on the campus of WPI on Sunday, February 25, 2001. Ten panelists explored the historical context in which jazz music developed, and sometimes flourished, in the city of Worcester, MA. The scope reached from the early 1920's until the turn of the millennium. The Jazz Worcester Festival was organized by Rich Falco, the Worcester Cultural Commission, and Worcester Polytechnic Institute. The critically acclaimed festival included dozens of concerts, clinics, and performances by nationally known artists. The first year alone featured the likes of Ralph Towner, Gary Burton, and John Abercrombie. The Brown Bag Concerts is a series held at Mechanics Hall. Studio 3 TV recorded the concerts between 1993 and 2000. Jazz has been a mainstay of the series and included Dave McKenna and Scott Hamilton, Tess Souter, Robin McKelle, James Williams and Karolina Strassmayer. April 13, 2014, WPI Campus. Panelists included: Chet Williamson, Jerome Harris, Ken Schaphorst, George Schuller, Ran Blake, John Sergenian and Jamie Baum.